With its earliest start in the sport’s history, the 2018 Major League Baseball season will officially begin on Thursday, March 29. For the first time since 1968, all teams will play on opening day. If you’re a Giants fan, which, let’s face it, you’d be crazy not to be, get ready for an exciting year at AT&T Park! Outstanding seats are still available in premium locations, and they’ll even connect you with season ticket partners for half season plans. If you are a season ticket member, the benefits are endless, including your own access to seats for Opening Day, Dodgers, A’s, and post season games; exclusive invites to the season ticket member appreciation events; your own “Inside connection” with a Giants Client Retention Account Manager; and more. Season ticket members have a ton to look forward to this season. 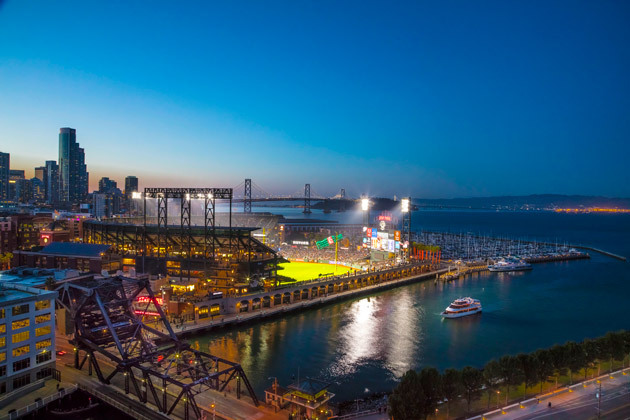 Conveniently located just steps away from the AT&T Park, ONE Mission Bay serves as the ultimate tailgating party before the big game. From the resort-style amenity deck complete with a heated outdoor pool, poolside cabanas, and barbeques, to the gorgeous penthouses that overlook the stadium, residents will have the exciting opportunity to be right in the thick of it all. Batter up!